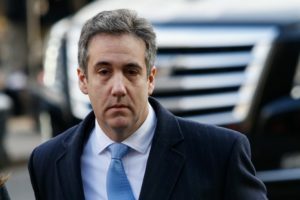 NEW YORK — President Donald Trump’s estranged former lawyer is acknowledging that he paid a technology company to rig Trump’s standing in two online polls. The Trump Organization later paid a $50,000 reimbursement to Cohen. It didn’t immediately respond to a request for comment. Left: President Donald Trump's estranged former lawyer is acknowledging that he paid a technology company to rig Trump's standing in two online polls. Photo by Eduardo Munoz Alvarez/Getty Images.